In a poignant portrait of 1980s London struggling with its multicultural identity, young Pakistani-British Omar employs his school friend and one time Skinhead Johnny to help run his Uncle’s launderette, and a romance blossoms between the two. Set around Wandsworth, Omar and his family live in Battersea, while Powders - the eponymous launderette - is at 11 Wilcox Road SW8, once Low Gear second hand store it has gone through many incarnations since, though none of them was a launderette. At number 2 is the absolute classic Love Actually, I mean when I say films in Wandsworth who doesn’t hear ‘the dodgy end’ in Martine McCutcheon’s unmistakable buttery tones? Disappointingly, however, Natalie’s impossibly long road as shown in the film is not in any part of Wandsworth, dodgy or otherwise - it’s Poplar Road in Herne Hill. But the school concert where Natalie and the Prime Minister (Hugh Grant) get caught snogging onstage later on is actually Elliott School in Putney, which closed in 2012. The film tells the story of a love triangle between sculptor Bob Elkin and two mutual acquaintances, Daniel (a man) and Alex (a woman), both besotted by him. It was a 1970s trailblazer for its depiction of its homosexual lead as successful and well-adjusted rather than tortured or conflicted. The film takes a turn when Bob and Alex agree to housesit at their friends the Hodsons’ family home in Hampstead, which can actually be found at 5 Spencer Park, Wandsworth. Fun fact: the film is Daniel Day Lewis’ cinematic debut! At age 14 he can be seen briefly in the film vandalising cars in the street. Famously terrified of travelling, director Stanley Kubrick filmed this disturbing cult classic almost entirely in London and the Home Counties, choosing locations from architecture magazines. Sinisterly, the scene where the ‘Droogs’ attack a man in a subway has been tracked down to Wandsworth’s Southern underpass, between Trinity Road and Swandon Way. The sensational 2011 drama about Margaret Thatcher’s twilight years and subsequent decline proved predictably divisive, provoking anger and disgust in some and a wistfulness in others for the days of ‘strong leadership'. Whichever side you’re on, it might interest you to know that the scenes between Thatcher (Meryl Streep) and her daughter Carol - played by South London’s beloved Olivia Colman - were filmed in Battersea Park, often used as a cheaper alternative filming location to London’s royal parks. Wandsworth’s historic buildings, bustling streets and green spaces were also picked to provide the quintessentially London backdrop to Bollywood blockbuster Ra.One. It’s an action-packed superhero drama that smashed records in its opening Diwali weekend in 2011. In the 1966 version of Ray Bradbury’s classic dystopian novel, the Alton Estate in Roehampton was chosen as the imposing architectural manifestation of a totalitarian regime in which reading is banned and literature is systematically burned. Though the film was released to very mixed reviews, Martin Scorsese has said that it has been a great influence on his own work and there is in fact a 2018 re-make due to be released in May. We’re not sure whether Wandsworth will feature but here’s hoping. The Day the Earth Caught Fire has been described as an all-time great. A masterpiece of science fiction, it depicts London in a world thrown off its axis by nuclear testing, causing drastic climate change. Scenes of people sunbathing in Battersea park with ice creams melting down their arms wouldn’t have been out of place during last summer’s heat wave, though that might seem a distant memory now. A key difference, however, is Battersea funfair in the background, which was closed following a tragic malfunction of the big dipper in 1972. This 70s drama starring Peter Sellers documents the unlikely friendship between two young children living in Nine Elms and Sam (Sellers), a retired music hall artist who now makes his living busking with his much-loved dog, Bella. He lives alongside a derelict canal in Nine Elms and the children take a shine to him, following him to work every day as he pushes his busking equipment in an Edwardian pram until he eventually concedes to their friendship. He later takes them to visit Battersea dogs’ home to get a dog of their own. And so begins our mini-series entitled: ‘films you didn’t know were shot inside Battersea Power Station’, beginning with this Christopher Nolan triumph. The Dark Knight has proven legendary on account of its beloved baddy - The Joker - played to perfection by Heath Ledger and completed just weeks before his untimely death. His performance was honoured in a series of bittersweet accolades - among them an Oscar, a Golden Globe and a Bafta. The scene where Rachel, love interest of both Batman and Harvey Dent, is blown up by the joker in an abandoned warehouse actually took place far away from Gotham, in our very own Battersea Power Station. 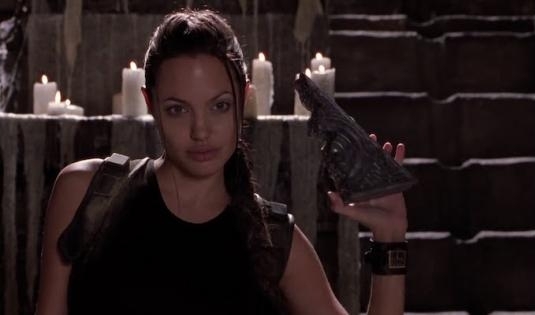 Another hollywood blockbuster, Tomb Raider’s list of filming locations is impressive. From Siam Reap in Cambodia to husky sledding in Iceland, Angelina Jolie did it all, including a trip to Battersea Power Station. The iconic 1930s building's cavernous halls were the perfect setting for the video game turned movie. Oscars smash hit featuring a titanic and heart warming performance from everyone’s favourite Colin Firth, The King’s Speech tells the story of King George VI’s struggle to overcome his crippling speech impediment and rise to the task of ruling Britain following his brother Edward’s abdication. The constellation of dials in the film's BBC control room, where Bertie’s speech is broadcast, is actually the now defunct control centre of - you guessed it - Battersea Power Station. A bit of a departure from the multimillion dollar titles above, Common People is an unlikely success story shot over three weeks almost entirely on Tooting Common and funded solely by its two writers/directors, Kerry Skinner and Stewart Alexander. The indie underdog cleaned up at the film festivals and was conceived of during the pair’s daily walks on the common, when they saw a poster for a missing grey parrot. A few weeks later the poster was replaced with a notice saying that the parrot had been found, and thanking all the people that had got in touch with sightings and support. The parrot became the inspiration and centre point for a sweet take on these common people: ordinary people who come together in London’s green spaces. It’s a touching and real ode to community and life in the city. Newer PostTwo Spoons: Southeast's most exciting new bar.